What kind of Green LED Strobe Lights are you looking for? 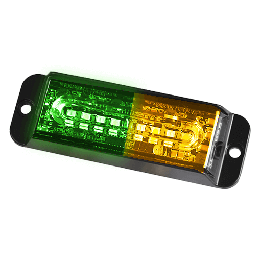 Our brilliant green strobe light pierces through any weather conditions to alert motorists and pedestrians to your high-risk and critical guardianship. These warning lights identify your critical protection role. Our green LED warning lights send out a powerful beam. Use our strobe lights for flashing alert. Amp up your visibility with a Green LED light bar. We have the vehicle lighting you need to enforce your critical role.